3-Piece Electrician Tool Set | BUDK.com - Knives & Swords At The Lowest Prices! 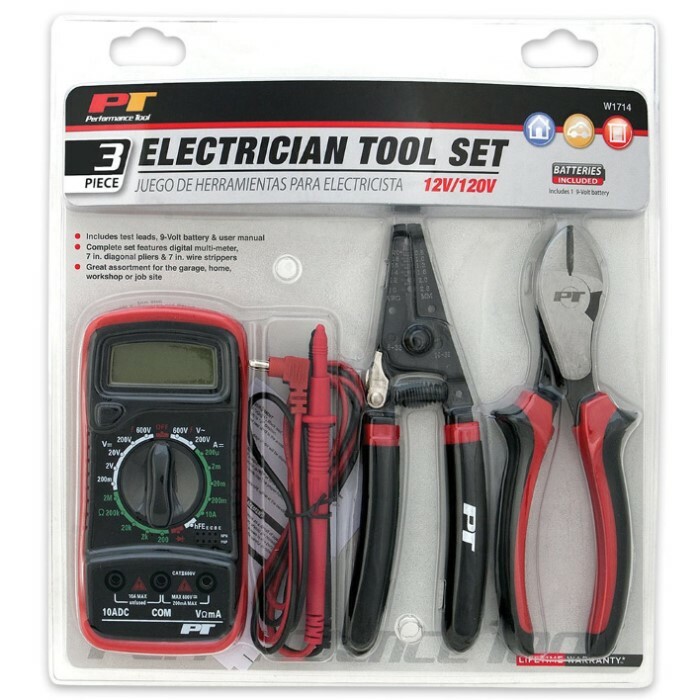 The 3-Piece Electrician Tool Set is a must-have for electrical work. 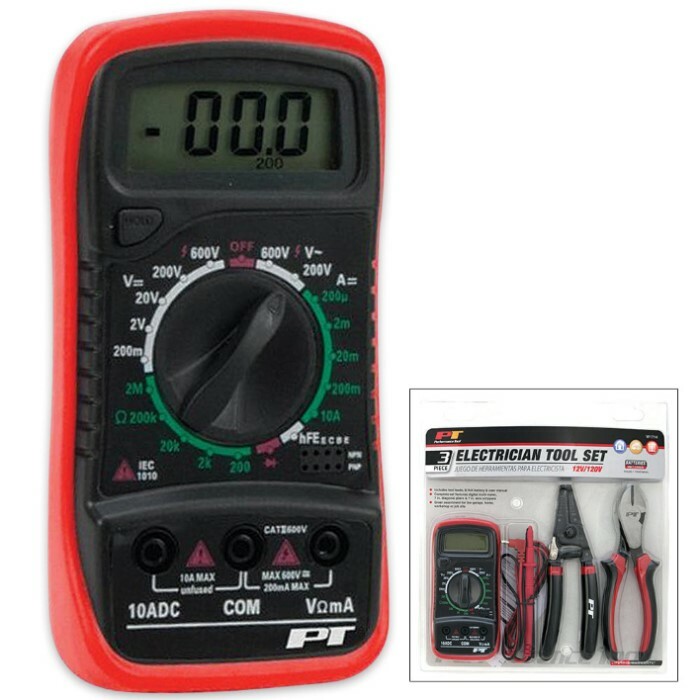 The set has a digital multi-meter, which measures AC and DC voltage, tests DC current and resistance, performs a diode test and features a digital display and data storage. 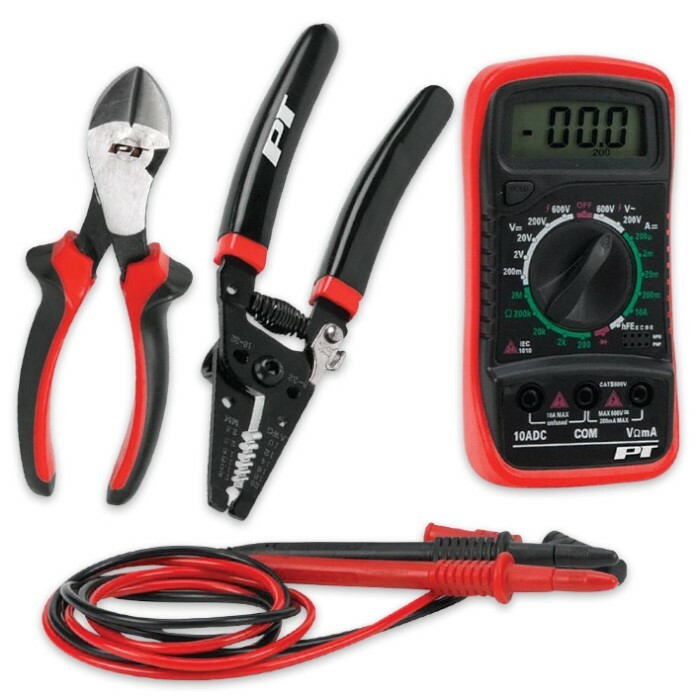 You also get 7” diagonal wire cutting pliers that feature short jaws for easy cutting in tight areas and are drop-forged and induction-hardened for durability. The included 7” wire stripper/cutter for 10-20 AWG wire cuts and threads popular bolt sizes and has wire looping/bending holes and a serrated nose. The set also includes test leads, 9V battery and user manual.